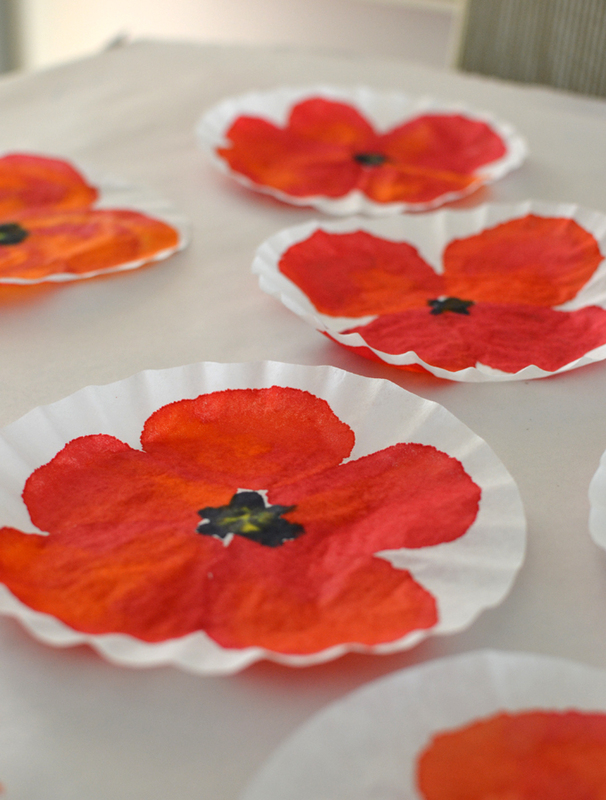 It’s hard to believe what you can make with coffee filters, it’s one of my fave art materials. 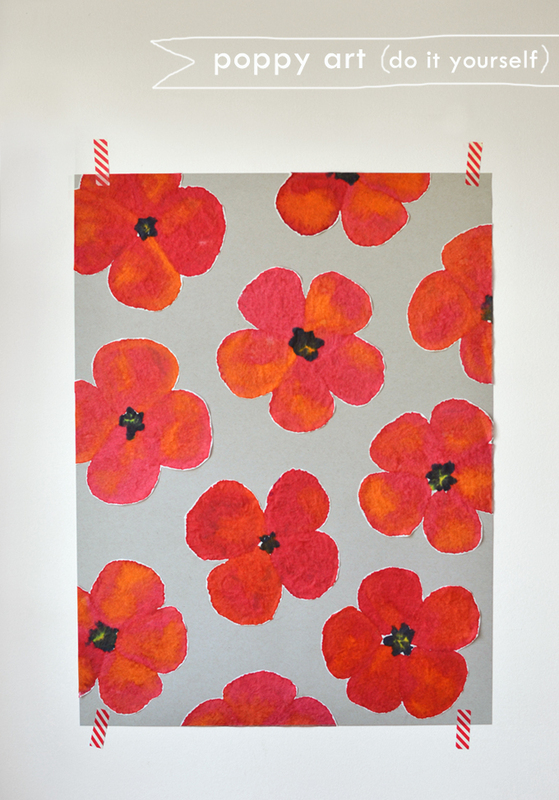 I also have an obsession with anything Merimekko so this Poppy Art project fills both my addictions! 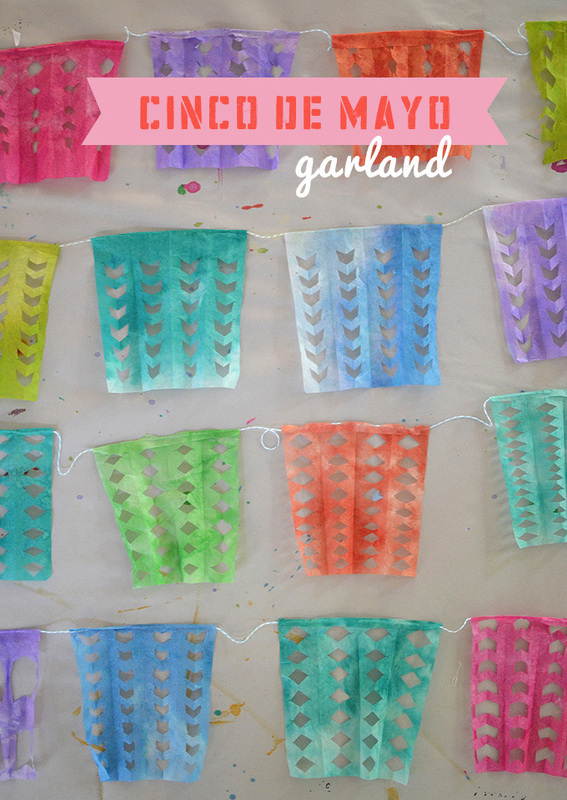 This is a very fun and easy project with beautiful, eye-popping results. 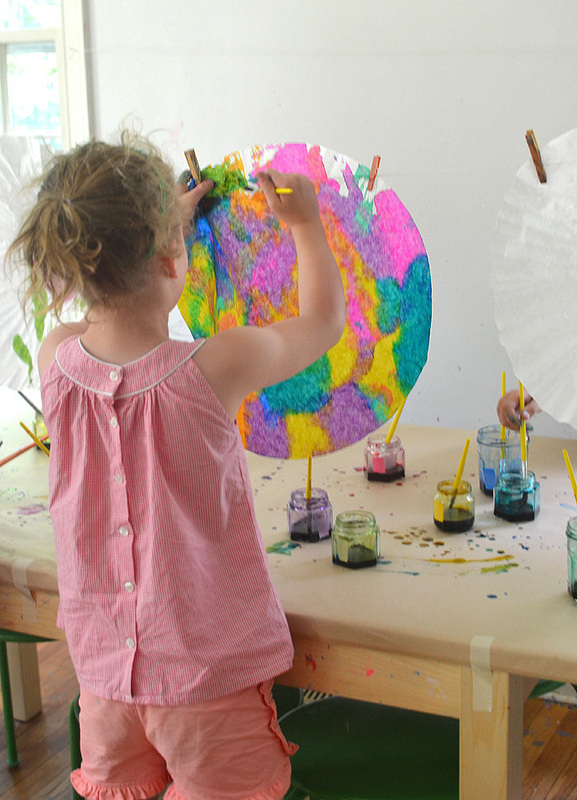 Kids and grownups will both love painting on coffee filters! 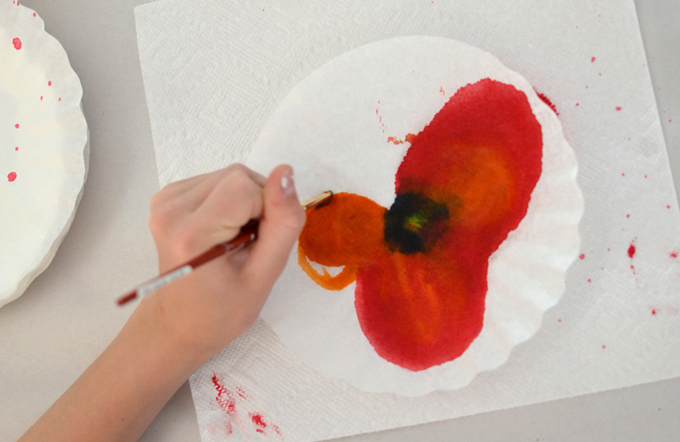 We used liquid watercolors which provide a very rich, vibrant hue. I highly recommend getting some, but you can also use regular palette watercolors, too. ~ This is really all about observation and technique. I made mine differently than my 12year-old daughter. 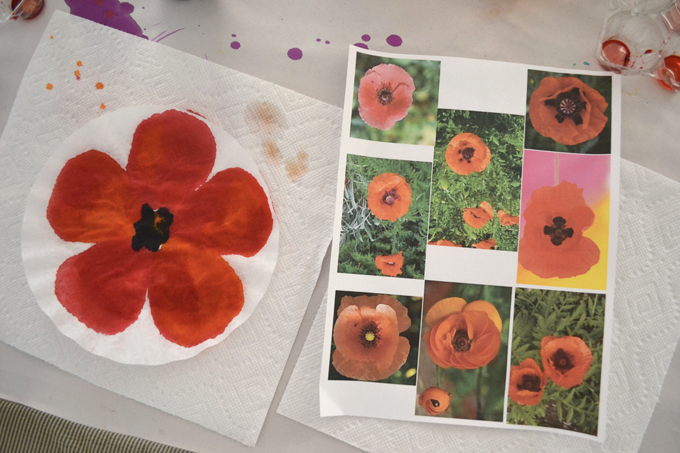 I started with the petals and then painted the black center last. She did it the opposite. 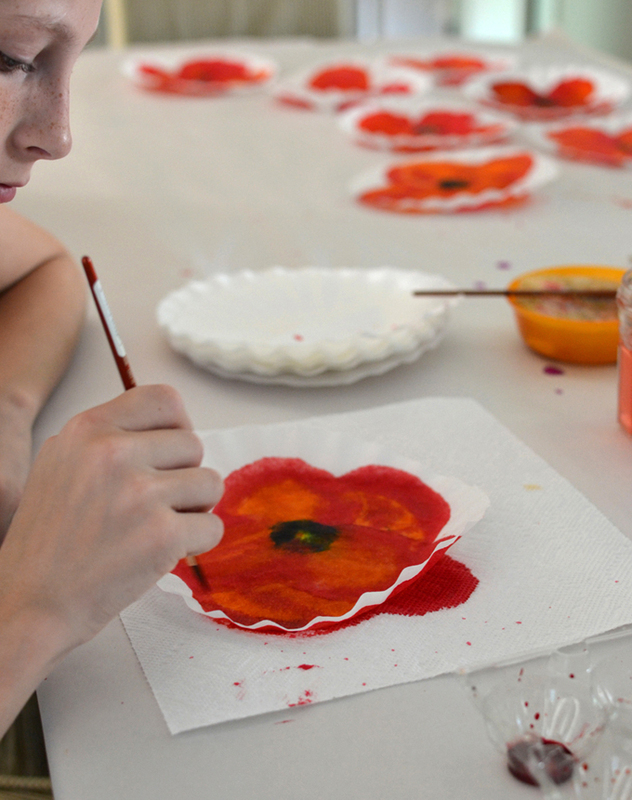 I encouraged her to use both red and orange for the petals just to make them look more real. ~ Let them dry, then cut them out. 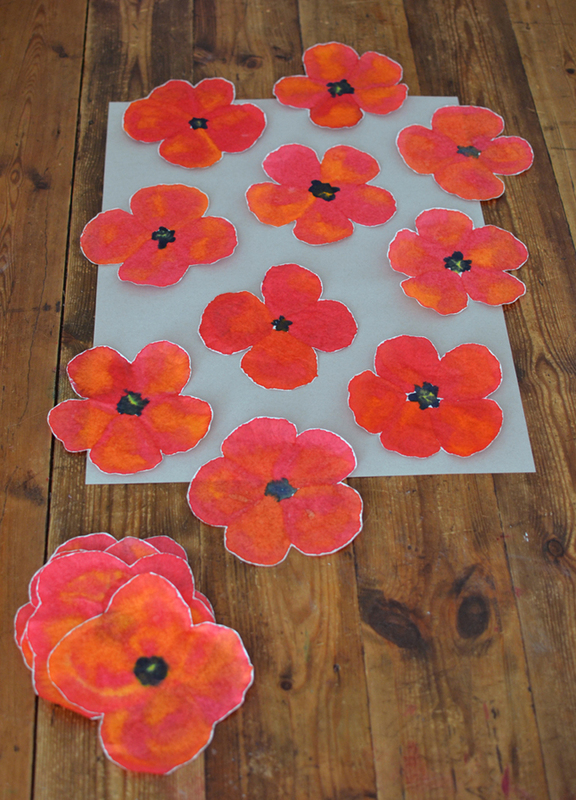 Leave a little white around the flowers to make them pop on the gray paper. 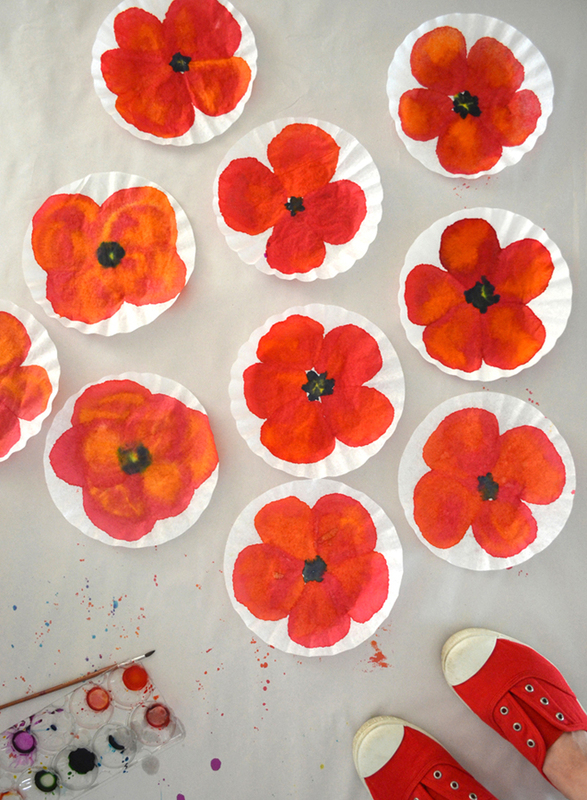 ~ Arrange them on your paper, making sure to have some hanging off the edge to give the appearance of a repeat pattern. Use the glue stick to glue them down. When you’ve finished gluing them down, trim the edges. Definitely frame-worthy, don’t you think? Next I want to try painting dahlias. I see endless floral possibilities! 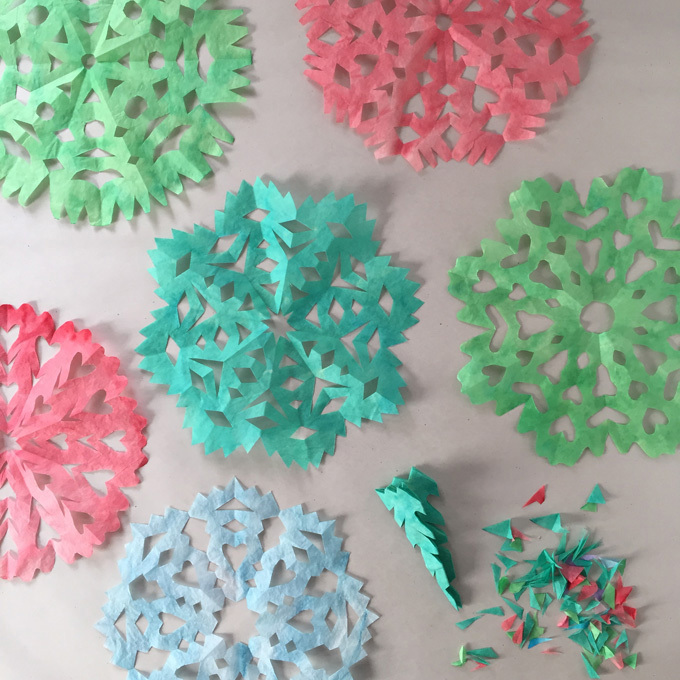 These look great – so pretty and I can think of so many uses. Bookmarking it for a summer holiday craft. how cute is that fishbowl? thanks for sharing with us, sophie!